Here’s a link to an animated map that shows the growth of the NYC subway over time, from Appealing Industries Appealing Industries (via Spacing Toronto). Unfortunately there’s no time legend, which would have seemed like a no-brainer to include. Still a very interesting animation, though. And if you want to see about eleventy billion more maps from throughout the history of the NYC subway, go here. While working on a new project for ERA404, I received a great tip from Zeh, my Flash Obi Wan whom you’ve no doubt read me gushing about in the past. The site (which will be launched at the top of 2010) is centered around a video loop. The loop began as a 208MB raw Quicktime video clip shot by one of ERA404’s video directors/editors, Greg Stadnik (you may remember his work from our Beautiful Children viral video that was featured in Gawker and AdRants last year). The clip was then scaled in 1/2, compressed using the On2 VP6 codec, imported into flash and then manipulated manually. The final SWF was 3.12MB, but the quality suffered terribly. This is when Zeh clued me in to video smoothing. It’s the same principle as bitmap smoothing, since embedded video clips are technically just an image sequence. The result was night and day. 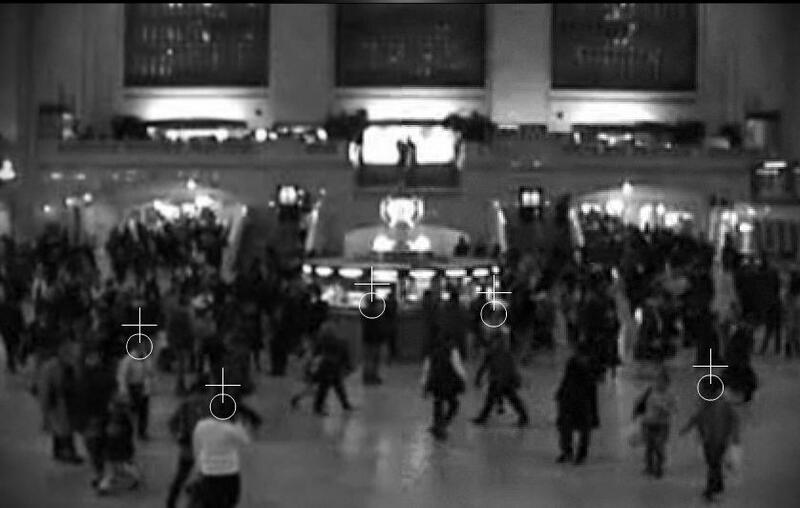 The left half of the below screenshot shows video smoothing set to true, where the right shows smoothing set to false. Note that this is just the beginning of this site with the radial gradient and scanlines stripped away to accentuate the smoothing detail. Overall, it’s an easy way to preserve quality without increasing loadtime, memory or processor demand. Give it a try. I’m sure you’ll be as pleasantly surprised as I was by the result. This is hands-down the coolest video I’ve seen in a long, long time. The last video I remember liking was the one for “Bedshaped” by Keane. Watch it and love it as I do. By the way, don’t forget to fall back this weekend! 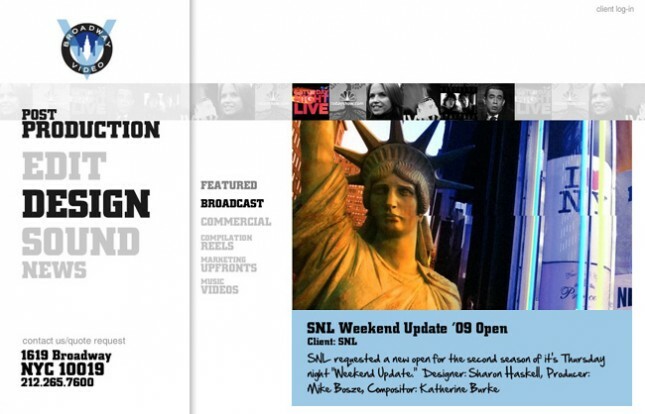 In 2005, Sharon Haskell contacted ERA404 to work with her on developing the portfolio site for Lorne Michaels‘ production company, Broadway Video. ERA404 previously worked with Ms. Haskell on the site for her motion, still-life and collage work, sharonhaskell.com. The site enjoyed four years of steady traffic until Broadway Video updated their branding and marketing campaign. This is when Creative Director, Katherine Burke, returned to ERA404 to develop a new site that was in-line with the production facility’s new image. This morning, nearly four years to the day, the new site launched. The site incorporates 80+ streaming videos in entirely dynamically loaded content, deep-linking through SWFAddress, daily news/press updates with advanced searching and RSS feeds, archival footage and information about the production facility’s legacy over the last 35 years.